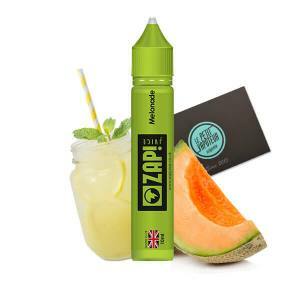 Coming straight from Manchester, the Zap E Liquids are freal fruity drinks in a 10ml bottle. Zap Juice proposes 2 collections of real original flavours so you can discover which liquid suits you best. Let yourself be tempted by the Zap E Liquids, with unique recipes such as Lychee Lemonade, Melonade, or Peaéch Tea. Each Zap E Liquid proposes different rates of nicotine of 3 or 6mg/ml and a PG/VG rate of 50/50. Or you can try the Aisu, mono-aromas such as Rose, Blue Raspberry or Aloe Verra. Your Aisu e liquid has a base of Nicotine Salts, available in 3 or 6mg/ml and offers a PG/VG rate of 30/70. Zap Juice brings us unique e liquids which are made in the UK with 2 different collections: Ap and Aisu. 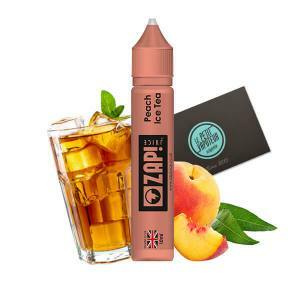 The Zap E Liquids propose original recipes to taste such as Zap Lychee Lemonade, the Zap Melonade or even the Zap Peach Ice Tea. The Aisu E Liquids are in mono-aromas which offer a good quantity of VG for a very rich vape. Each Zap Juice E Liquid will find its vaper.